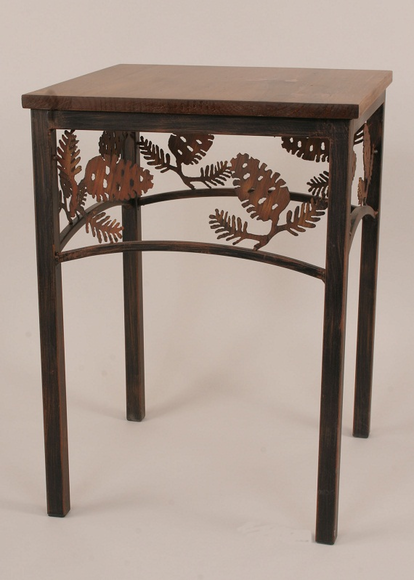 Our Pine Tree End Table is Handcrafted of metal with a beautiful pine wood top. Measures approx.17" x 17" Top x 23" High. Made in the USA. Please allow 2-3 weeks for delivery. Cannot ship to Alaska,Hawaii, or Canada.